the Earl and Countess of Wessex and Lady Louise. Previous thread, covering period from March 13 to September 10, 2007 can be found here. HRH Prince Edward, Earl of Wessex, visited Yad Vashem on Friday. He toured the Holocaust History Museum, visited the tree planted in honor of his grandmother Princess Alice, placed a wreath in the Hall of Remembrance and visited the Children's Memorial. Avner Shalev, Chairman of Yad Vashem, and Dr. Robert Rozett, Director of the Yad Vashem Libraries accompanied the prince. Princess Alice was recognized as Righteous Among the Nations by Yad Vashem in 1993, for rescuing the Cohen family in Greece during the Holocaust. In 1994, her son, HRH Prince Philip Duke of Edinburgh planted a tree in her honor at Yad Vashem. 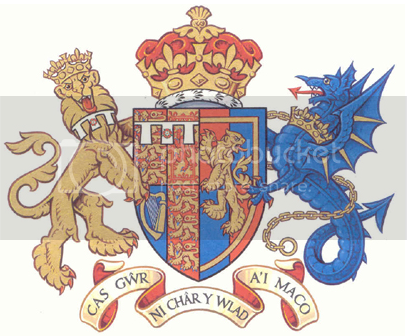 According to the Court Circular, today the Earl of Wessex is in Leicestershire to visit the Brite Centre and Stephenson College. Sophie was at the society wedding for Chloe Delevigne. she looks great!! thanks for the link i love that 3rd photo, she's radiant. wish the coat wasn't black but no biggy. healthy and glowing, is it me or she alot bigger than at the dutch birthday party, twins would be fun. It is really great to see the Countess out and about again. She appears quite healthy with this pregnancy, so i hope that she will stay fine and have a safe delivery than Louise's. Fabulous pics - thanks iceflower! (and fanletizia!) I really like her outfit and she looks very healthy and happy. Hello! picture - Little Lily Kent gave her some flowers Anyone's guess what they are looking at? ~ I'm just coming down to earth. ~ Camilla, Duchess of Cornwall, After announcement of her engagement to Prince Charles, February 2005. The Countess looks beautiful and glowing. I love her red dress she wore for the soceity wedding. Thanks for posting so many pictures of my favorite British Royalty. How I wish Edward and Sophie would one day repay the invites they get from European royals and throw a party in England. Wouldn't it be nice to see all those royals at Bagshot Park? Heartwarming pix but I wonder how may months exactly she is pregnant ! They said "December" but there is a big difference between the 1st and the 31st ! She looks good . Lovely to see the two of them together at a function. I'm told that she is actually due first week of January, but they are expecting the baby to come early. She is about 26-27 weeks along. Thanks iceflower for the pictures. I have an account of HQs and i saw these ones, it's really great to see these photos as HQs. The Wessex just great couple, and i realise the Countess wore a new ruby earing maybe i think, never see it before. Maybe a new piece?